Surveying Equipment from the collections of the Worthington Historical Society (WHS) may be used for educational purposes as long as it is not altered in any way and proper credit is given: "Courtesy of the Worthington Historical Society, Worthington, OH." Prior written permission of the WHS is required for any other use of Surveying Equipment. Contact WHS at info@worthingtonhistory.org to request permission. Surveying Equipment is realia, with genre equipment. 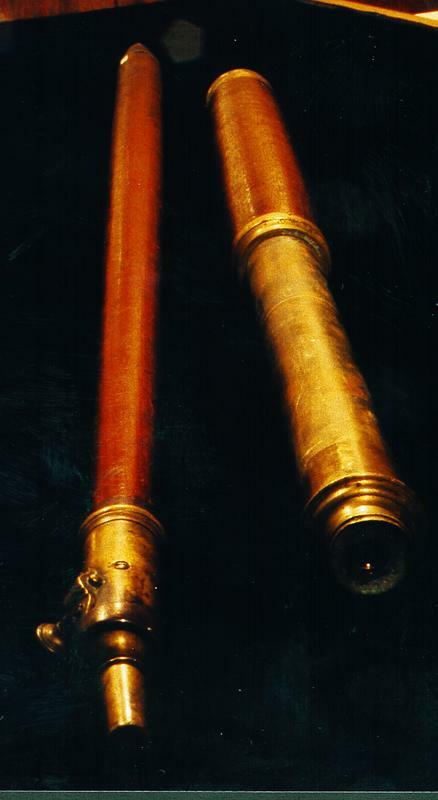 These surveying instruments belonged to Scioto Company proprietor, James Kilbourne. Pictured here are the box with compass and magnet, Gunter's chain, scope and staff. A Gunter's chain (66 feet long, or 20 meters) was the standard unit of measurement in surveying during the early nineteenth century. 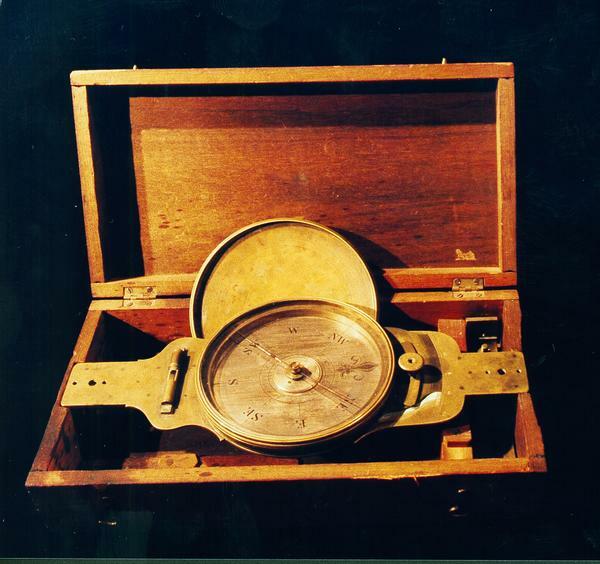 It was used in conjunction with a surveyor's compass. 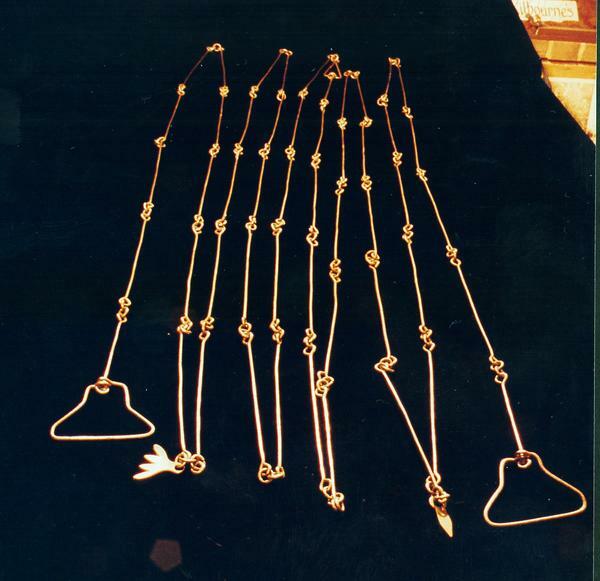 A Gunter's chain has 100 links, each measuring 7.92 inches (20.12 centimeters). The chain is the basis of measurement for an acre, which is equal to ten square chains (100,000 square links). It covers the topics geography and surveying. It features the person Col. James Kilbourne, 1770-1850. The Worthington Memory identification code is whs0385_001. This metadata record was human prepared by Worthington Libraries on March 14, 2002. It was last updated October 13, 2017. Superman was born on Krypton. Wonder Woman hails from Paradise Island. 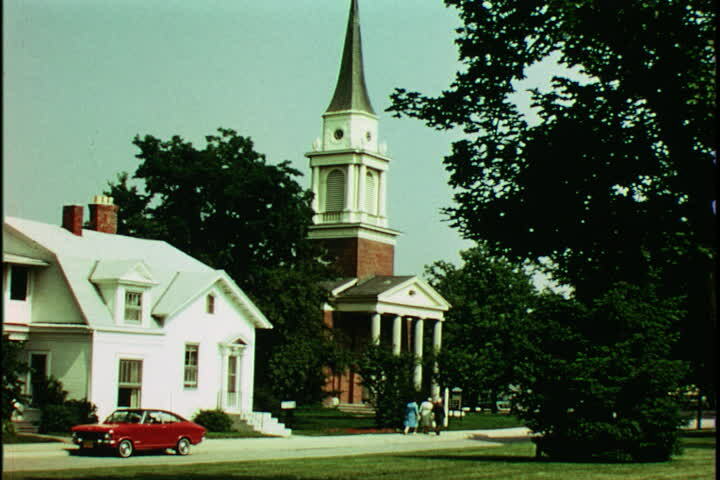 Who are some of Worthington’s hometown heroes? Step inside our May exhibit to find out!